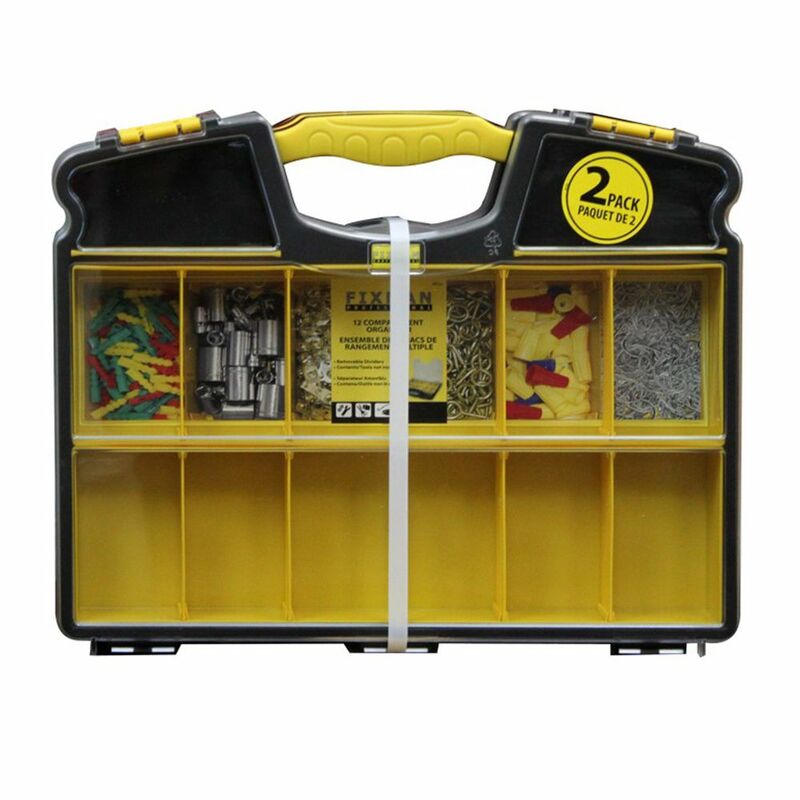 This Fixman Compartment Organizer, 2 pack, is a perfect storage solution for small parts. Designed for the jobsite with a durable handle, break resistant lid and large cups for easy access. The Husky Magnetic Tool Holder is equipped with 10 magnetic slots for organizing a wide range of hand tools and metal accessories. Organize an endless number of items such as pliers, ratchets, extensions, scissors, blades, etc. with the patented Husky Magnetic Tool Holder. Items can be organized in a tool box drawer or permanently attach the Tool holder to surfaces with use of the included hardware and mounting holes. Save time and avoid losing tools or accessories with the Husky Magnetic Tool Holder. The Husky 11 in. Parts Bin Organizer not only offers the customer incredible quality, but offers incredible quality at an incredible price. These heavy-duty organizers are not only great for hardware components, but can also be used for household organization. Also includes adjustable dividers to custom fit any and all of your contents. The Husky Pro Double Sided Organizer is ideal for storing hardware and small parts. With 2 sides to this organizer it doubles the amount of compartments for storage. Heavy duty polymer construction and metal latches insure your belongings are secure and stay organized. 12 Compartment Organizer 2 pack This Fixman Compartment Organizer, 2 pack, is a perfect storage solution for small parts. Designed for the jobsite with a durable handle, break resistant lid and large cups for easy access.